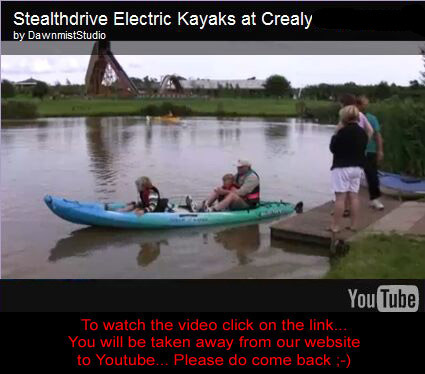 The Stealthdrive system was the result of a unique collaboration between New Zealand Kayak experts and British world-leading electronics know-how from Dawnmist Studio. 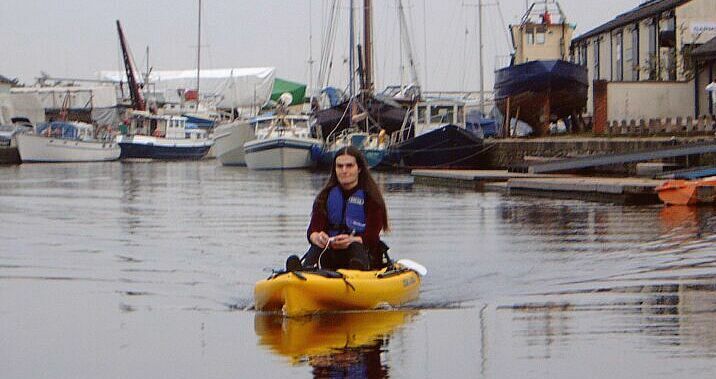 The result was a propulsion system for kayaks with unequalled performance, safety, reliability and quietness. 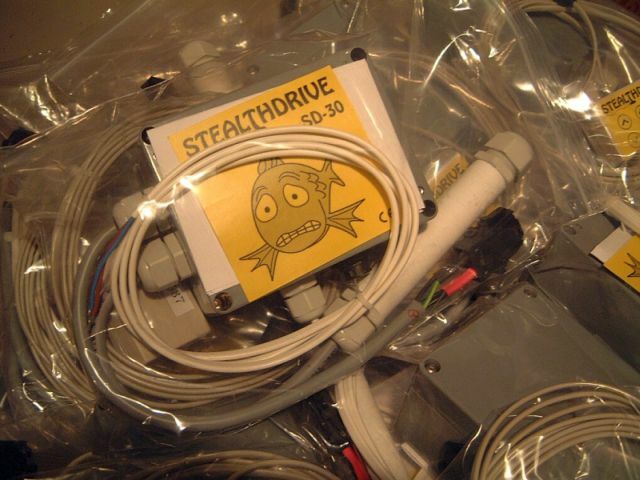 The Stealthdrive electronics package was designed by Natalie Winter of Dawnmist Studio to complement the mechanics develped by Stealthdrive Ltd of New Zealand. It is already in use around the world helping disabled people, adults and children to enjoy a day out in a kayak, without needing to paddle. 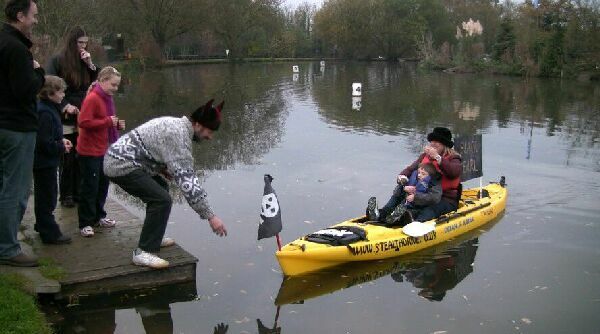 The new innovative approach to kayaking had been attracting a lot of attention wherever it went. Even the traditional "die hard" paddlers were impressed (especially as they couldn't keep up!). 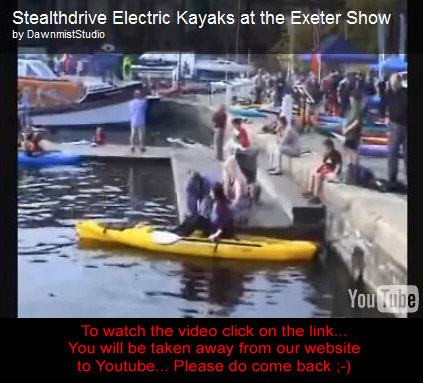 In the UK the Stealthdrive was launched in October 2007 at the Exeter Kayak Show and venues around the UK. At the South-West Canoe/Kayak Show, Exeter Quay, October 2007. 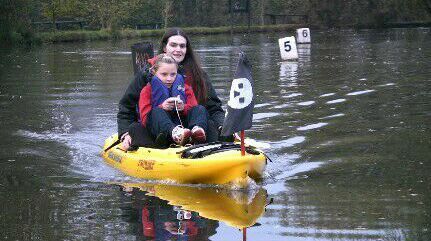 Local schoolchildren and their parents enjoy a ride on our very own Stealthdrive-powered "Black Pearl" to raise money for the Children In Need charity. 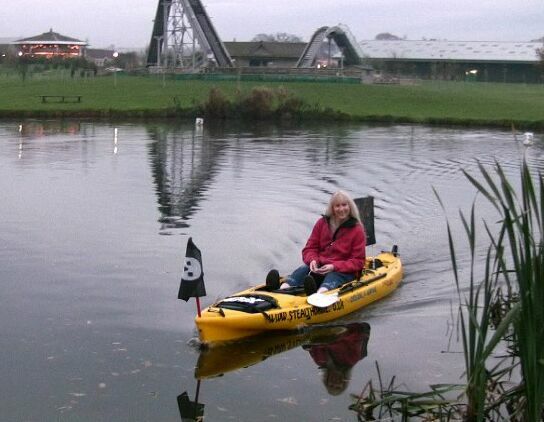 Stealthdrive control-units, software and hand-sets can be used for other projects as well as kayaks.